Brushing your teeth may seem like such a simple task. We all brush our teeth at least once a day – well, the majority of people do. Well, for me it is actually quite a chore and not easy to do. 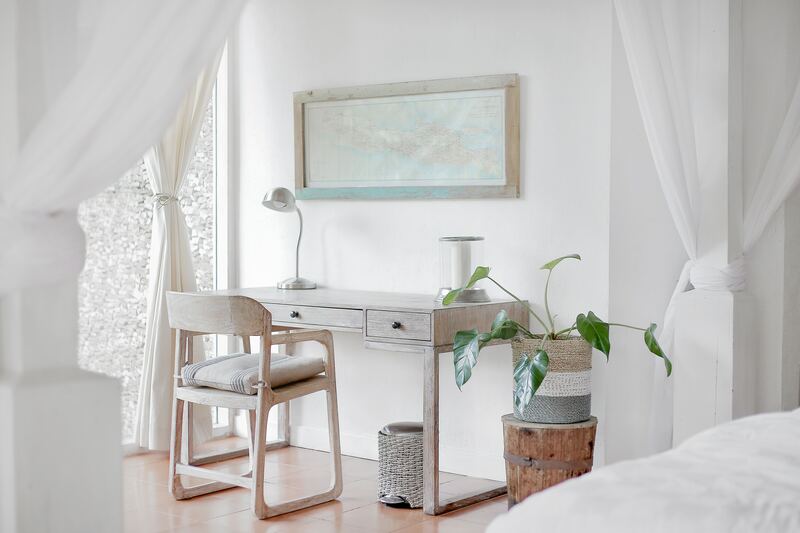 It was something that I took for granted before I became bedridden. I now can’t stand long enough at the sink to even brush my teeth properly with a manual toothbrush. 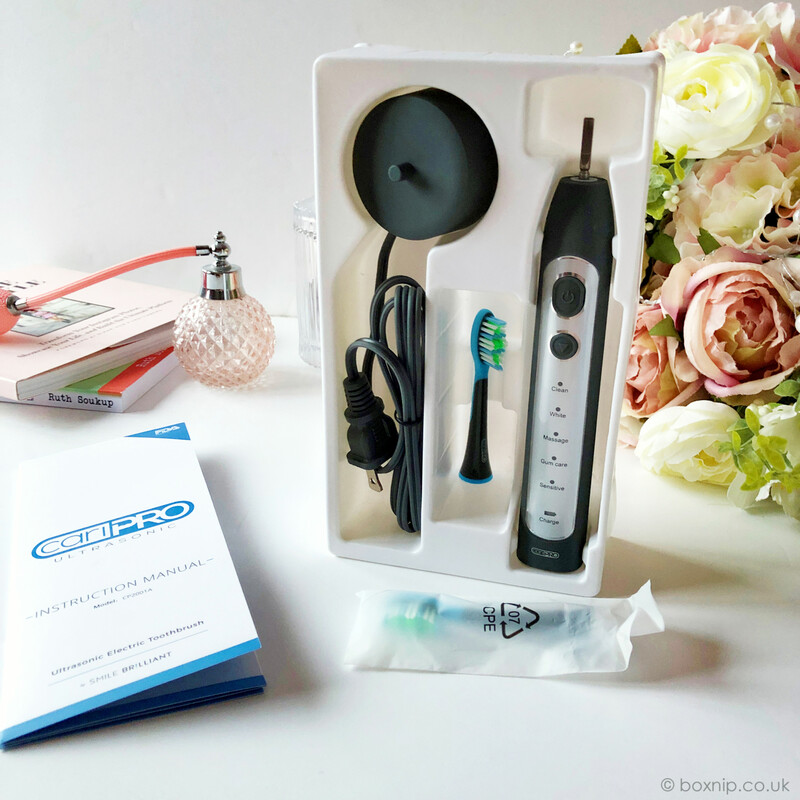 So when I was offered the chance to try CariPRO Ultrasonic Electric Toothbrush from Smile Brilliant, I just had to say yes! Having Diabetes Type 2 also means I need to take really good care of my oral health, as it’s all too easy to get plaque buildup and tooth decay. I also suffer from extreme dry mouth due to some of the meds I take; which again puts me at high risk for tooth decay. So I knew that I needed to be able to brush my teeth really well and at least twice a day. It doesn’t sound like much at all, does it? Though it actually was for me. 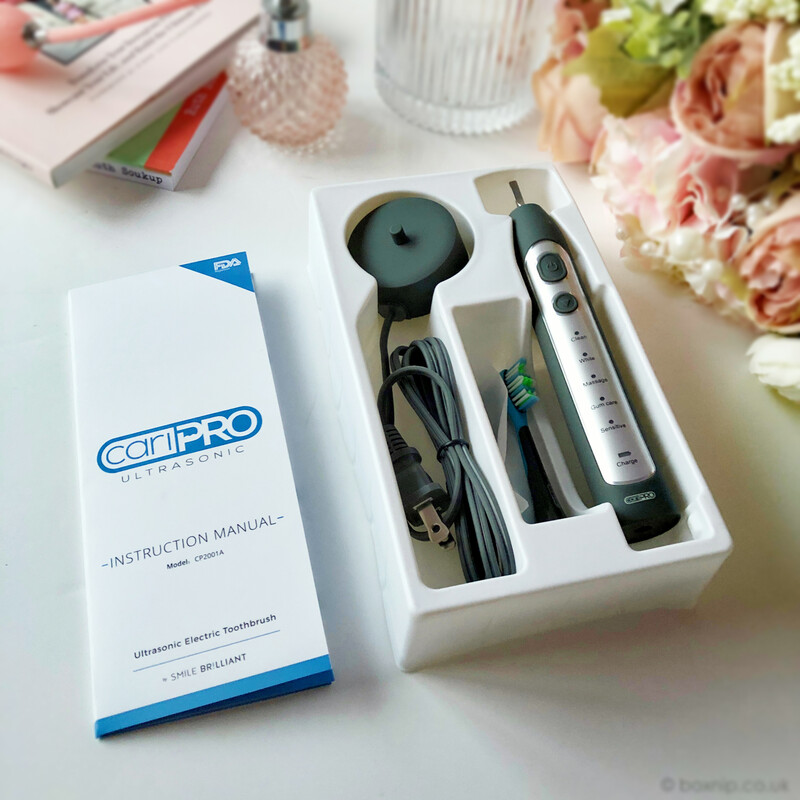 Since using the CariPRO Electric Toothbrush it has made my life a lot easier and I am able to take proper care of my teeth. 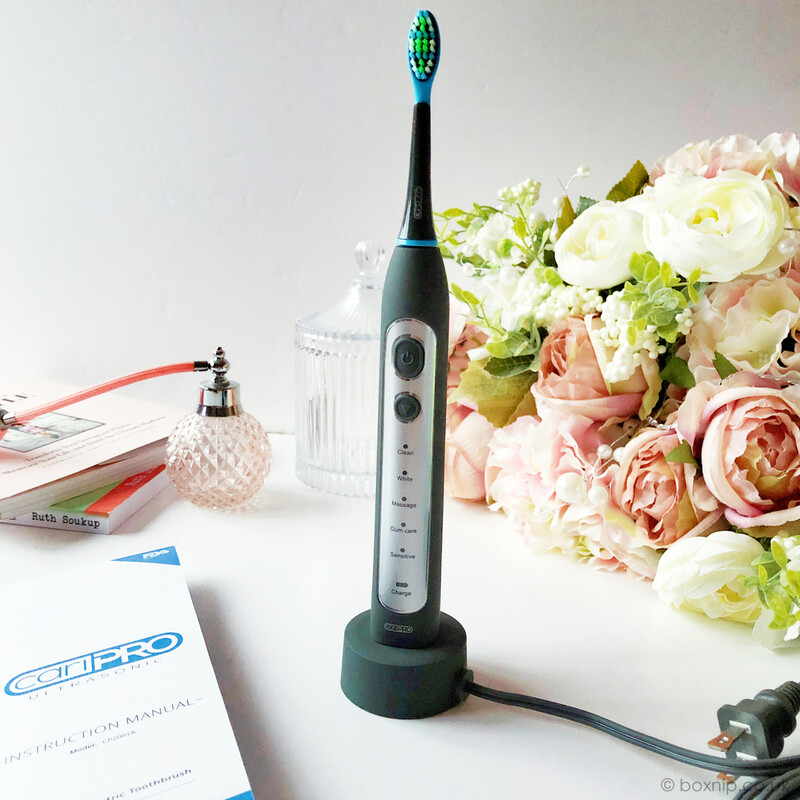 I know after brushing with the CariPRO that my teeth are clean and plaque free. One of the things I really love about this toothbrush is that it has a tongue scraper on the other side of the brush head. Suffering from extreme dry mouth, I like to make sure my tongue is really nice and clean because it gets REALLY dry – sometimes I don’t even have enough saliva in my mouth to even be able to swallow easily. As you can see, a full charge will last for around 30 days, which is great. The auto-interval smart timer is another feature that I love. It means I don’t spend too little time in one area to another as I know exactly when to move to the next part of my mouth. Some days I can have difficulty gripping items so it’s important that the toothbrush is comfortable to hold, which it is. It has a soft touch grip, so it’s really easy to hold, even when my hands are quite bad. Being waterproof means that I don’t have always have to stand at the bathroom sink – this was a HUGE plus. I can sit on my shower chair whilst having a shower and brush my teeth. This is just fantastic for me to be able to do. I know these all sound like really easy things but for someone with disabilities and chronic illnesses they are actually BIG things to get done, especially on really bad days. When I initially started using it my teeth were very sensitive. So I used the Sensitive setting, to begin with, along with the gum care one. As my gums became healthier, I was able to then use the Clean setting and then the White. I have to admit I don’t really use the massage setting. It goes to show though how much healthier my teeth and gums have become whilst using the CariPRO. They are far less sensitive and I can physically see that my gums aren’t as receded as they were. A definite marked improvement. I can say that this toothbrush makes me feel like I’ve been to the dentist every day for a scale and polish! 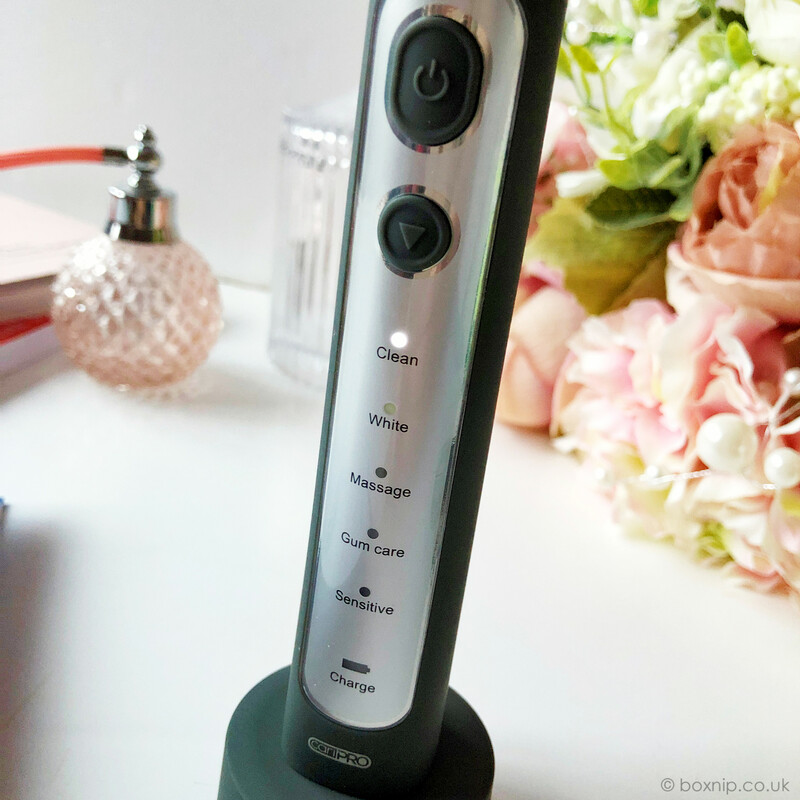 What Did The CariPRO Electric Toothbrush Do For Me? Not only are my teeth and gums healthier but it has also made me feel a lot better too. Not like my teeth were terrible or anything but I just feel so much better about my dental hygiene and being able to take proper care of my teeth. Oh, did I mention that they are also a lot whiter too? Having nice white teeth really makes me feel a lot more confident when I smile. It’s cut down the stress on whether I am doing a good enough job brushing my teeth. Whilst it’s not a drastic difference, the improvement is very visible to me. 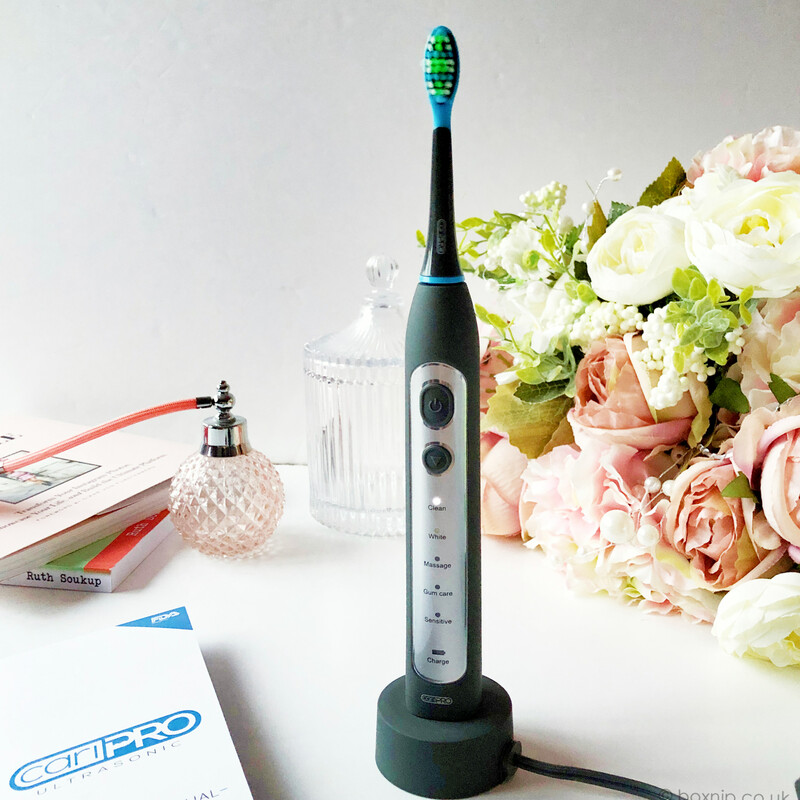 If you’re looking at purchasing a new electric toothbrush, I would definitely recommend checking out the CariPRO Electric Toothbrush. You can find out more on the www.smilebrilliant.com website. They do ship worldwide and have 3 different packages available for purchase.